Rugged materials and unique, sleek design will get you noticed. 3-amp charge coil for lights, battery charging, etc. Quick-change mechanism for easy track changes. No tools required. 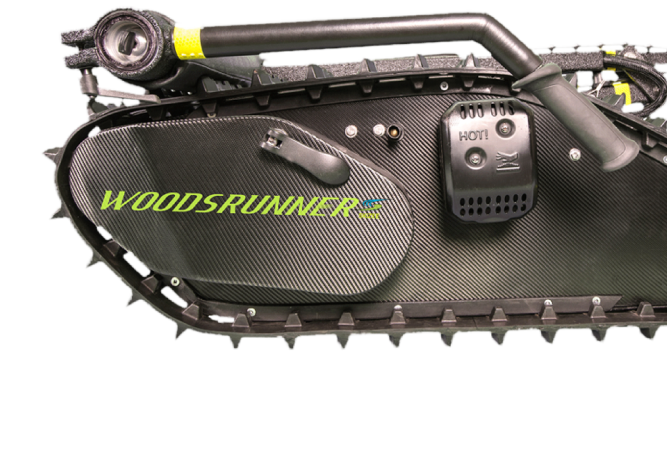 The Woodsrunner is suitable for first time skiers, or even experienced alpine skiers. You can control the speed, so it’s perfect for learning ski fundamentals while travelling on flat ground, or you can cruise through tough terrain in the back country! You can cruise at 5 km/hr, or you can speed by at a whopping 40 km/hr. 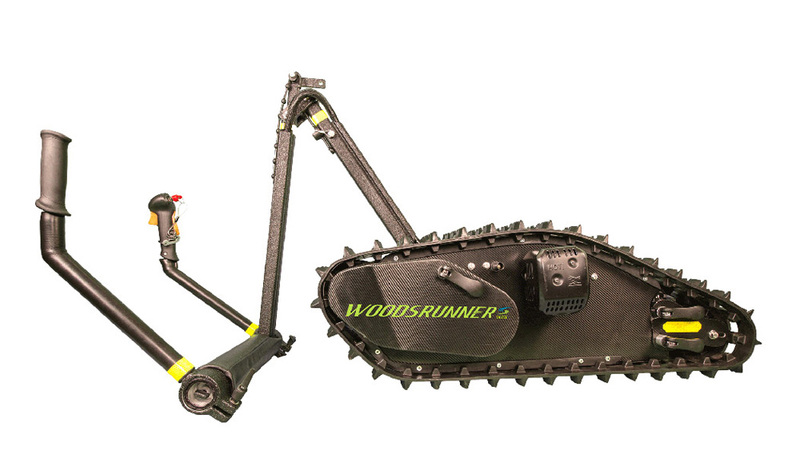 The Woodsrunner has the power and speed to tackle almost any terrain from your backyard to the Rocky Mountains. 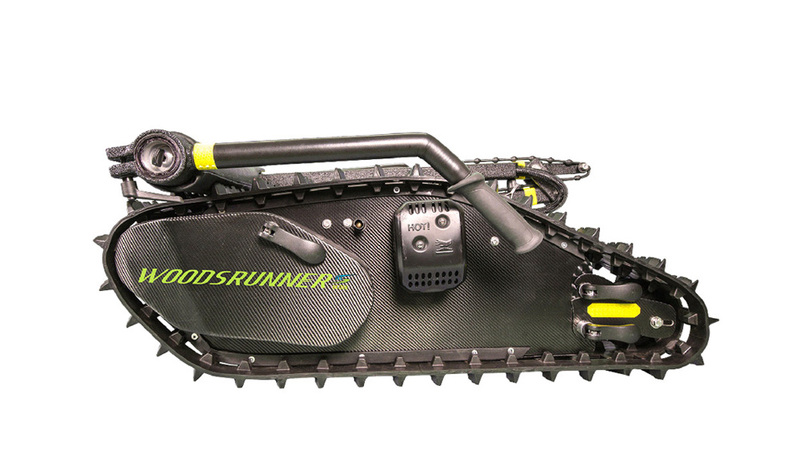 Woodsrunner has a throttle lockout and an emergency stop tether cord for your safety. 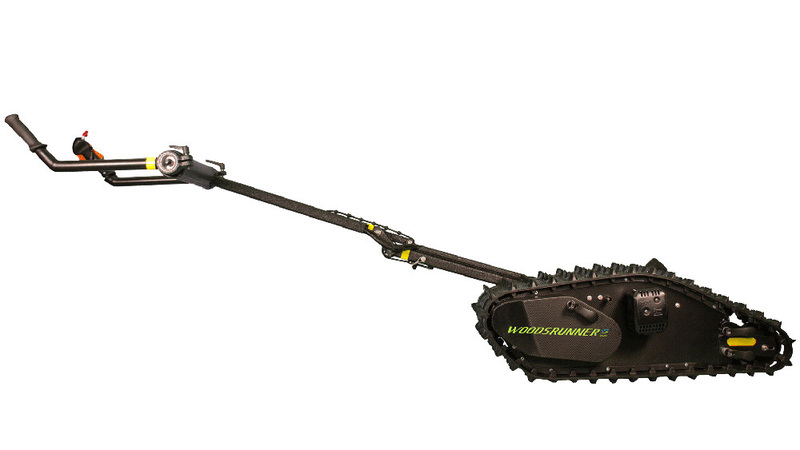 Adjustable handle and suspension can accommodate height and weight of practically any adult user. 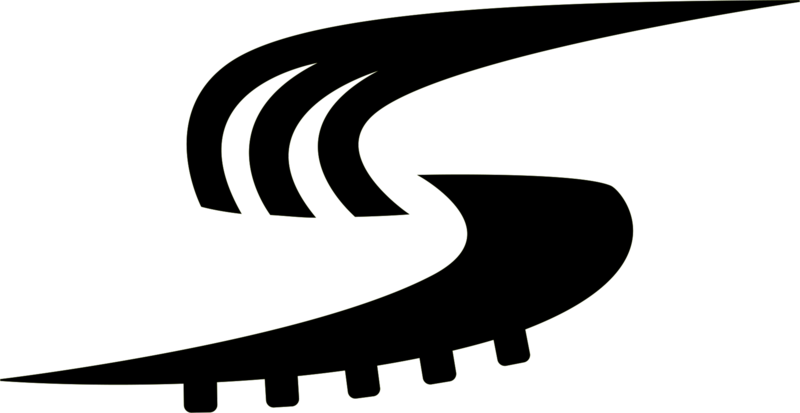 Standard Alpine Ski Equipment – Warm Clothing. Boots, Skis and Helmet. Know your terrain. Know your limits. Quickly fold it up for ease of transportation. Yes, you can even throw it in the trunk of your car. No truck or trailer needed.